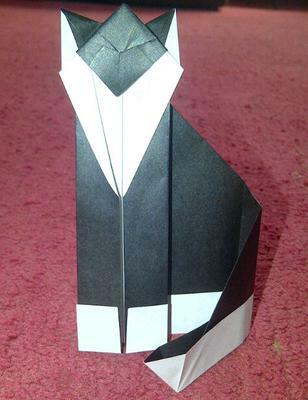 Comments for origami cat says Awesome!!! Hey, this is really cool. It seems that, making a cat like this is pretty easy. I think basic methods of origami have been used in making this. Anyways, the usage of perfect colors has given it a realistic appearance. Write my essay paper regarding for that so many kind of thing. This work of art is good keep or practicing. Thank you for sharing your good effort. Serving a good research paper assistance for student to help them online. www.buy-essays-online-now.net - visit this great service and get online help. dog beds - Probably the world's best dog beds! Tough, practical, luxury, waterproof dog beds that keep your dog warm and dry. Wow! Your cat looks amazing! You right, it does look like a real cat. Thumbs up!